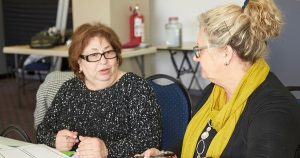 PDCN offers free individual NDIS support sessions which assist people with a disability or their carers to understanding and make the best use of a current NDIS plan, or to prepare for an NDIS plan review. The sessions run for up to three hours and are provided by people who have extensive experience in using an NDIS plan for themselves or people they support. Once you register a PDCN support consultant will contact you to determine how the support time can best be used and to book in a suitable date, time and location. We offer individual NDIS support sessions throughout NSW. If you would like to know more about individual NDIS support sessions, please contact us.